When he was at Yale University, Michael S. Kinch, PhD, and colleagues set out on a massive project: cataloguing every drug ever approved by the US Food and Drug Administration (FDA). What they produced would become the most comprehensive database in existence — not even the FDA had such an archive. It sparked dozens of academic papers and a book. If the exhaustive nature of that work seems daunting, it didn’t deter Kinch from taking on a similar challenge when he moved on to Washington University in St. Louis 3 years ago to head its Center for Research Innovation and Business. This time, Kinch wanted to make a comprehensive report on every innovative vaccine ever invented. That report was published last month, and it gave light to a striking fact. 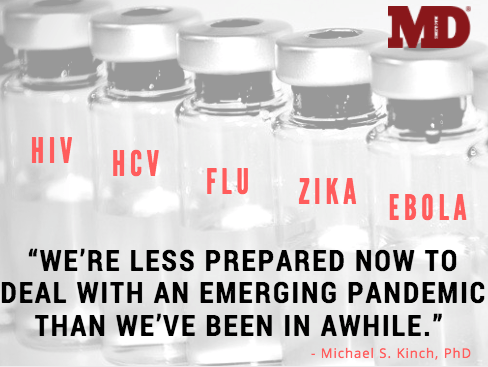 “If you look at the number of infectious disease that we can prevent with vaccine, it actually sort of planed off in the 1990s and it hasn’t actually increased since,” Kinch told MD Magazine. Another factor could be the risk associated with vaccine development. After all, any vaccine trial carries the risk of accidentally infecting dozens, hundreds, or thousands of patients. Economics surrounding vaccine development are also problematic for private-sector investment, Kinch noted. And yet, if the story of vaccine development over the past quarter century has been one of slow improvements rather than big breakthroughs, the biggest breakthrough of all could be close around the corner. Kinch said the “holy grail” of vaccine development is an HIV vaccine. “There is a lot of effort there, and that could be world-changing,” Kinch said. Mark Feinberg, MD, PhD, could attest to that. The president and CEO of the International AIDS Vaccine Initiative oversees a group that has spent the past 20 years trying to marshal resources and collaboration to stop HIV infection — and inherently, AIDS — once and for all. Viral treatment has already taken major steps forward, to the point that public health officials now say antiretroviral therapy (ART) can virtually eliminate the risk of virus transmission in patients with undetectable viral loads. Globally, however, the disease remains still a massive problem. According to the World Health Organization, 1 million people died from AIDS in 2016. Feinberg said all of those advancements have had an incredible impact on the lives of people with HIV and AIDS, but they’ve also had an unwanted side effect: a decrease in the sense of urgency around finding a permanent solution. Feinberg isn’t alone in his feeling that an HIV vaccine remains an urgent need. Anthony S. Fauci, MD, director of the National Institute of Allergy and Infectious Disease, wrote this month in the Journal of the American Medical Association that while new therapies have made it possible to virtually eliminate transmission risk and therefore theoretically eliminate the disease, it’s unlikely that the end of HIV will come about through such treatments. “Despite the remarkable gains in the treatment and prevention of HIV infection, development of an effective HIV vaccine will likely be necessary to achieve a durable end to the HIV pandemic,” he wrote. That said, Fauci said an HIV vaccine doesn’t have to be 100% effective to bring about an end to the epidemic. “In fact, modeling studies have suggested that if current treatment and prevention efforts are continued and an HIV vaccine that is about 50% effective is developed and deployed, millions of additional new HIV infections could be averted, and the pandemic could slow substantially,” Fauci wrote. If HIV has gotten less attention, other infectious diseases have had the opposite treatment. Viruses like Ebola and Zika has garnered widespread worldwide media coverage as outbreaks in the southern hemisphere have stoked public fears. All that attention has translated into additional funding for vaccines. For instance, a National Institutes of Health-funded phase 2 trial of a Zika virus vaccine will launch soon in countries affected by the virus. George Washington University will lead the effort at one of those sites in Belo Horizonte, Brazil. 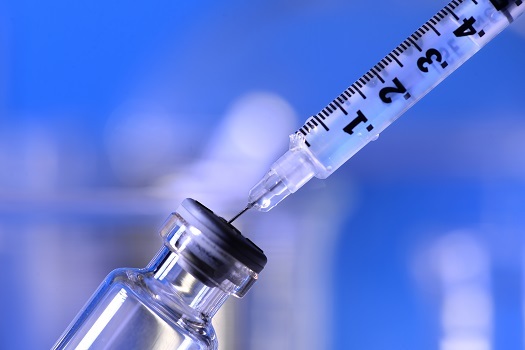 In an email, GWU School of Medicine and Health Sciences professors Jeffrey Bethony, PhD, and David Diemert, MD, said development of a Zika vaccine has been relatively swift in the wake of the 2015 outbreak in Brazil. “The reasons for this are multiple, but definitely there has been significant interest and support given to the vaccine development efforts due to the epidemic nature of the recent outbreak in the Americas and the potential negative impact on developing fetuses if women are infected during pregnancy,” Bethony and Diemert wrote in an email to MD Magazine. The development process has also been helped by research into other tropical diseases, the researchers said. For instance, the platform technology used to develop the vaccine was a modified version of a platform initially developed by the NIH to create a virus against West Nile virus. The Zika vaccine in question is a DNA vaccine, which researchers believe will be safer for pregnant women compared to a live attenuated viral vaccine, which could pose a higher risk to fetuses. Zika caused relatively minor symptoms in most adults, but led to microcephaly in fetuses. Kinch applauds funding for programs like the Zika vaccine. He said the government plays an important role in providing funding for emerging infectious diseases, since doing research in advance can help public health officials get a head start on potential pandemics. He’s dismayed at funding cuts to the NIH and Centers for Disease Control and Prevention. “We’re less prepared now to deal with an emerging pandemic than we’ve been in awhile,” Kinch said. One bright spot in vaccine development, however, has been the flu vaccine. Flu shots have become a staple of many Americans’ autumn routines, and the vaccine has improved over the years, Kinch said, though its effectiveness can vary year by year due to the rapid mutation of the virus. Some of the latest research into the flu vaccine aims to address that problem by better understanding what enables the virus to change so fast. Matthew Shoulders, PhD, is the author of a new study that found the flu virus uses cell proteins called chaperones to assist in its mutation. Chaperones help proteins fold into the correct shape, and thus can ensure more efficient evolution. Building on the work of Stanford University’s Judith Frydman, PhD, Shoulders discovered that not only can chaperones help RNA viruses replicate, they also appear to speed along virus mutation. The finding should help researchers improve the designs of their flu vaccines, which could someday have the effect of reducing the frequency of vaccinations. Yet, even as scientific breakthroughs continue, Kinch said vaccine developers will also have to overcome changing economics. “Between industry consolidation and the rising costs of research and development, there are a smaller number of players that are still in the space,” Kinch said. Kinch looked at all of the companies that have ever contributed to an innovative vaccine. Of those, only 10 remain active in research and development.